These stylish Poivre Blanc Stretch Ski pants are made from 85% nylon 15% spandex DWR TPU lamination and are Waterproof 10000 and Breathable 10000. With a tailored fit, these pants provide great freedom of movement and have added details like reinforcement at inside bottom leg to protect the pants from your ski boots. 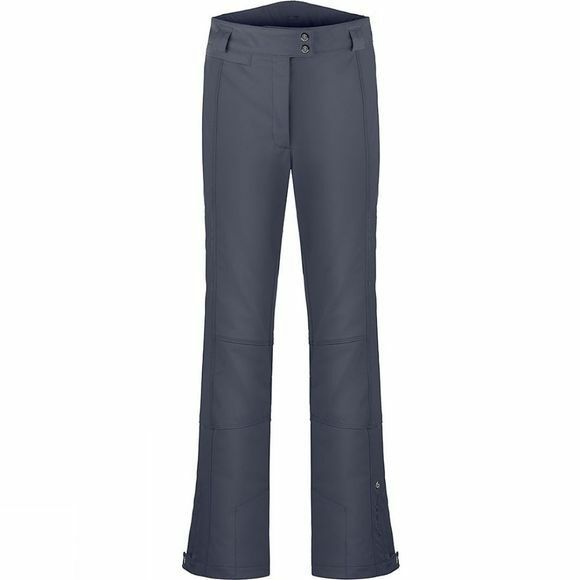 Please note: Poivre Blanc Ski Legwear items are small sizing - Please size up at least one size compared to your normal lifestyle trouser style. 4 way stretch fabric with elastane. Elegant, sophistication, grace are just a couple of characteristics associated with Poivre Blanc. This seasons range, adds an injection of colour into the range, with the Jennifer Jacket having 5 colour choices. The wealth of flowers, snowflakes and geometric shapes are refined, that gives Poivre Blanc a very personal touch in every jacket.